6 Reasons you might need a Separation Agreement - The Hart Law Firm, P.A. One of the most common questions we, as divorce lawyers, receive is “Do I really need a Separation Agreement?” In a lot of cases, the answer is probably not. If you don’t have kids, don’t have property, spousal support is not likely to be an issue, and you have a short-term marriage, then a separation agreement is probably not necessary. You need, or are going to have to pay, spousal support. Whether you are going to need spousal support (aka alimony) or are going to have to pay spousal support, you should probably have a separation agreement. If you are going to be paying spousal support, than a separation agreement gives you the legal document you need to be able to deduct spousal support on your taxes. If you are only voluntarily paying your spouse, then you may not be able to deduct those payments. On the other hand, if you are in the position that you need to receive spousal support, than a separation agreement gives you some peace of mind and protection – knowing that you are covered financially – going forward. If you are in the position of needing to refinance your house or would like to buy a new house, the mortgage lender may want to see evidence (in the form of a separation agreement) of what your support payments are, and a history of those payments made on time (for as long as 6 months or more). A separation agreement is going to help you either way. You want to eliminate the risk of your spouse suing you. Separation agreements provide an affirmative defense to you if your spouse later changes their mind about your agreement and decides to take you to court. Not only can you have the lawsuit thrown out, but you may be able to recover attorneys fees as well – but only if you have a valid separation agreement in place. You have children. If you have kids and you want to dictate what the visitation schedule is going to look like, then you need a separation agreement. Without one, (and I have seen this many times), you run the risk of your spouse (or even ex-spouse, as child custody issues will survive the divorce) suing you for custody. Even though a court will still have the final say about what is in the best interest of your children, the separation agreement provides strong evidence that you can present to the court to show why the custodial schedule you previously agreed should be ordered by the court. A separation agreement can also lay out the amount of child support that will be paid. You own property (i.e. real estate). For the vast majority of divorcing couples, the marital home is one of the largest assets they own. Whether you have equity in your home or not, how the home is going to be divided is extremely important. There are several considerations here – first, how is the home titled? Is it in joint name or is it in either you or your spouses name individually? Second, who is on the hook for the mortgage? Finally, what about future repairs? What happens with the marital home can have implications for you and your spouse. For the spouse that leaves, they may want to buy a new home – but can’t if they are still listed on the mortgage to the marital home. For the spouse that stays, they may want to receive clear title to the marital home. These issues are typically resolved via a valid separation agreement. You have retirement accounts that must be split. I can’t tell you how many times I have a client come to see me that says, “I’m going to keep my accounts, and my spouse will keep theirs.” The problem with this approach is, most people don’t know how much these accounts are worth. In addition, you or your spouse may have old accounts from old employers that have been forgotten, or perhaps pension benefits that are considered marital property but won’t be realized until one of you retires. It is important to do your homework, and figure out what there is to divide. These accounts must be properly valued and split via a separation agreement. You want to protect yourself from future liabilities. If your spouse gets into a car accident after you have separated, did you know that you could be sued if your spouse was at fault? If your spouse owns a business, are you confident that you have been removed from all liabilities related to that business? A separation agreement can protect you from future liabilities that you may not even know about right now. Most people don’t properly understand what a separation agreement is or what it does. The biggest thing a separation agreement can do is provide you with security so that you can begin to move on with your life. 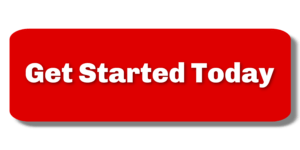 James Hart is a Cary Divorce Lawyer for The Hart Law Firm, P.A. 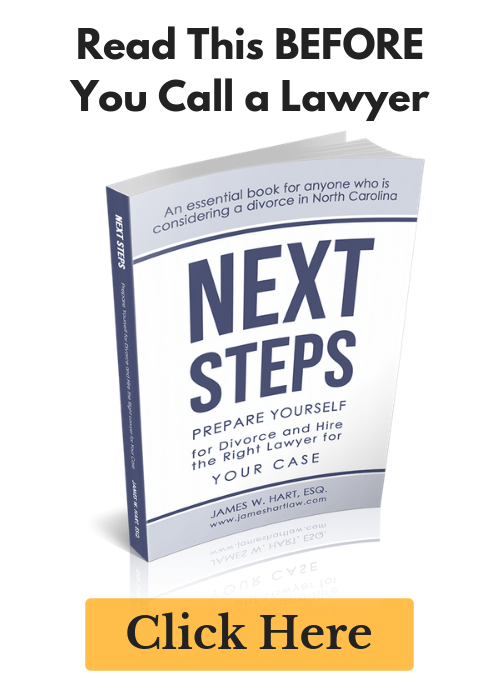 Before you sign a separation agreement or attempt to negotiate one on your own, order a copy of Mr. Hart’s North Carolina Divorce Guide, which can be found via the contact form in the sidebar.